Densetsu no Shounen A – An otaku of legendary reputation whose tastes foretell the rise and fall of anime series. Or not. Episode 8 of Kuragehime, “Million Dollar Babies” (ミリオンダラー・ベイビーズ), begins with Kuranosuke ransacking a storage room for stuff to sell. Considering the sort of people the Amamizukan caters to, it’s no surprise that the particular room in question is full of the same stuff collected by a fetishist: cups of all sorts. While everyone else thinks the newer and cheaper looking cups are cute, Kuranosuke focuses on the older antique cups that might fetch a high price at the flea market. 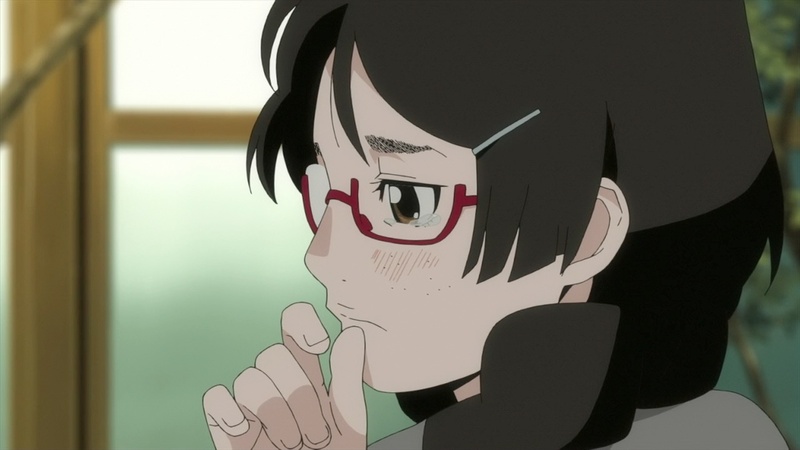 Episode 7 of Kuragehime, “Unemployed Financial Islands” (金融無職列島), starts off with Kuranosuke reminiscing over his closet, remembering a closet full of his mother’s clothes and the time he first arrived at the Kuboichi home with his mother, when Kuranosuke seemed to be about ten while Shuu seemed to be close or at college-age. Meanwhile, Shouko is annoyed that the purchase of the Amamizukan has still not been finalized: the owner of the Amamizukan, Chieko’s mother, doesn’t spend enough time inside Japan to sign the contract, even though the decision to sell the place has already been made. Episode 6 of Kuragehime, “Night of the Living Amars” (ナイト・オブ・ザ・リビング・アマーズ), begins with Kuranosuke finishing the transformation of all the Amars except for Chieko, who looks like a rich lady among the transformed Amars with her kimono attire. Kuranosuke hasn’t quite thought through beyond dressing up the Amars, however, so he suggests going to a cafe for “training”. Incidentally, a cafe is the Amars’ number one heart rate raising location (by now, I want to see a “number two” something). 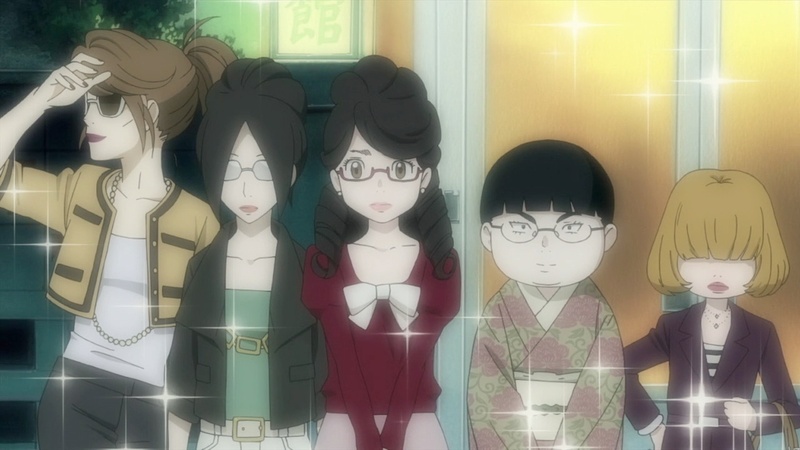 Episode 3 of Kuragehime, “Enchanted” (魔法をかけられて), begins with Kuranosuke dressing up to the chagrin of the male members in the family. His internal monologue reveals that the biggest reason he cross-dresses is to destroy any prospect of himself becoming a politician, something he loathes of ever becoming. Obviously the father does know of Kuranosuke’s habits, and Kuranosuke was just avoiding him in the previous episode because an encounter would just raise a bothersome fuss. The story centers around Kurashita Tsukimi, a huge fan of jellyfish and a girl who moves to Tokyo to become an illustrator. She moves into an apartment complex that is full of fujoshi with a no-men-allowed rule. However, one day, Tsukimi invites a stylishly fashionable woman to stay at her room at Amamizukan — only to discover that the guest is not who she seems to be. For like half a year, my anime blogging had effectively stopped. (For that matter, all my other blogging had stopped as well.) This is mostly because a big change in routine has put a crimp on my blogging activities. It wasn’t that I lacked the time to blog, but rather that I didn’t feel like doing any blogging. In fact, I haven’t even been able to watch much anime, either. 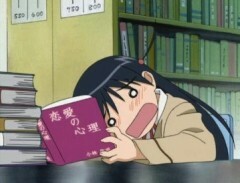 Recently, I’ve been getting the urge to watch more anime and blog again, however. 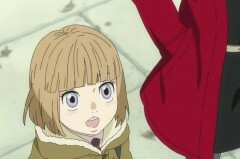 I obviously won’t be able to watch and blog a ton of anime, but I think I can manage one or two series. The question is: Will this be the last throes of a dying anime blog, or will this be a resurgence of a blog that has been in hiatus for too long?